IPv6. Is It Messing Things Up for You? Routers, VPNs and other services struggle to connect. If you've been following articles on WhatIsMyIPAddress.com, then maybe you know a little about IPv6. Everything that connects to the Internet—wired or wireless—needs an IP address. Want to know the IP address you're using right now? Go to here to find out. (And after reading this article, go to our Learning Center to learn more about IP addresses. But little did we know that the IPv4 address would be pushed aside one day, because the world would need more IP addresses. It's already starting to happen. As of August 2016, most of the big Internet Service Providers (ISPs) were starting to switch their customers to IPv6. The world needs IPv6 because the world wants to connect everything to a computer or smart device. That's what the Internet of Things is all about. But not everything is ready for it. And, like many things computer-network oriented, it may take some monkeying around with, and may take some time for everything to connect with ease. As a matter of fact, you might not even be able to connect to the Internet so easily the first time around. That's been the case for hundreds of customers. "I can't get a connection!" If you're lucky, the switch has taken place and your router, computer and its built-in networking hardware has figured it all out. Thanks to something called "dual stack," which your ISP implemented, the IPv4/IPv6 switch-over should work. But chances are there's something you'll have to do that to make things work; something you just don't know about. And oftentimes the people who should be able to help (your ISP's help desk) is unable to...which makes the problem even more frustrating. After several unproductive calls with my ISP's first-tier support, I finally reached a representative who acknowledged that they were rolling out IPv6, but that they were having a problem with Airport Extreme Routers. They said Apple was working on it and gave me a number to call at Apple Router support. Unfortunately, the number they gave was no longer valid. I called my ISP again and this time talked to someone who told me he knew how to fix it. He said I should just restart my modem and test it in about 15minutes. I did so and sure enough I just clocked 333Mbps! This was the third support person I dealt with in three days. The first two were of no help and said I needed to make an appointment with a technician to come to my home. I kept insisting they should be able to fix on their side but they couldn't do it. But the third person I talked to knew what to do right away. It just goes to show that support desks are so often hit or miss. It just really depends on the luck of the draw whether you get someone competent or not. Here are few more related issues that are springing up. Your Internet-content filter stops working. If you use a program like OpenDNS or a similar service to block out unwanted websites from coming into your home, you might find that they're no longer doing the job. Why? Because the filtering is all based on the IP address you initially provided them. They may not be equipped yet to handle IPv6 IP addresses if yours has changed. Again, you'll have to go into your online filtering account, check your connection and see if their service identifies your IPv6 address. This is a real problem for the VPN services that offer secure browsing—IPv6 isn't working at all or isn't working as well. There are plenty of reports of VPN "leakage," which means that data being transmitted over wireless networks isn't staying as secure and "hacker proof" as it does with IPv4 transmissions. 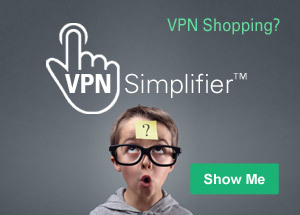 Many VPNs are even telling customers that, for security purposes, they shouldn't log into their VPN account with an IPv6 connection. It will all be good someday. But when? The switch to IPv6, like any other major technological change, is for the better, so it's worthwhile to be patient until your computer and smart devices are connected properly. Unfortunately, that's not going to ease your frustration of having connections that used to work just fine suddenly start acting up. Count on spending some time configuring and reconfiguring some services that need to be fine-tuned for IPv6. And no one knows how long that may take or how to do it quickly and easily. The best advice for you might be to call a tech-savvy friend who knows about IPv6 and routers and kindly ask for his or her help. The cost of a fancy lunch or dinner (or two) in exchange for tech support could be well worth it for both of you.